I want each of you to know how much the sacrifice of time, money, family, and being able to sleep in your own bed is appreciated by all of us. I am thankful that God provided the money through generous Christians to pay for my being here and all the goodies you brought! But more than this, I appreciate that each of you care enough to do this for women all over the world. You just had a retreat that blessed my sister beyond anything she has experienced (on the field). She wrote several of her “sisters by blood and sisters BY THE BLOOD” a report. 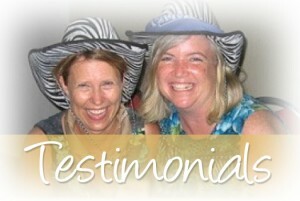 I wept tears of joy as I read in her words how she had been lifted up through this ministry. Just the fact that someone thought to do this, not to mention that you raise money to take people there and get the women there — it is huge. Obviously this work was inspired by God. I know it is hard for men missionaries, too, but it is the nature of man to get a lot of who he is from his work. They also get so much from their women. The women are often the ones who are have unmet needs. They give and they give, because it is their nature to be givers. So often the supportive wife ends up running on empty. And who better to realize this than the wives of evangelists? I expect those women know better than anyone else what it is like to be joined with a man who is called by God. Their men often come home worn completely out. I think that is why the wife has such a difficult job, and if there are children, it is extra important that she be there for them, since often the father has spent his energies outside the home. If there is a place where I can read the story behind this organization — how it got started, etc., I would love that. But again, mainly I just want to support you in this work. I so appreciate what you are doing, and the women who give their time to go with you. May God ever bless you in this work!